In 2016, a nonprofit named Spotlight on Coastal Corruption filed a lawsuit alleging several coastal commissioners illegally hid private meetings with developers and other lobbyists from the public. By law, coastal commissioners are required to disclose ex-parte communications within seven days. Howell and Commissioner Mark Vargas, as well as former commissioners Steve Kinsey, Martha McClure and Wendy Mitchell, are defendants in the California Coastal Commission case, which is being heard in the San Diego Superior Court. The California Attorney General’s Office is representing the current and former commissioners, even though they were sued as individuals. If fines are levied, it is likely the state will indemnify the defendants, who serve as unpaid Coastal Commission board members. The state attorney generals’ office offered a $250,000 settlement that would have included money for fines and attorneys’ fees. Spotlight on Coastal Corruption turned down the settlement offer, which would have been paid with taxpayer money. In defense of the commissioners, the state Attorney General’s Office has argued that substantial, rather than complete compliance, with private meeting disclosure rules is all that is required. State prosecutors said the violations that occurred amounted to little more than clerical errors. Last week, Judge Timothy Taylor issued a tentative ruling sympathizing with the current and former commissioners. 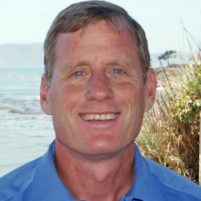 Taylor questioned in the ruling whether the Coastal Commission can carry out its mandate to protect the state’s coastline with a part-time, unpaid volunteer board that meets three days a month in various locations. Nonetheless, the commissioners could still receive fines of up to $30,000 for each violation from 2013 to 2016, as well as additional penalties for more recent breaches. If the fines are assessed, the revenue raised would go to the commission’s Violation Remediation Account, which funds projects aimed at increasing public access to the California Coast. You must vote Mr. HOWELL out as a Pismo Beach City Counci person. The socialist appointees to the Coastal Commission didn’t report their meetings with the Sierra Club, Surfrider Foundation, Heal the Bay, and other “interested parties” as the law defines them, also in the ex parte reporting requirements. The only way to oust them is to VOTE them out. Pay attention! VOTE! You have to remember the “them” that need to be voted out are in Sacramento, starting with Governor Brown and his party, Howell was appointed to the Coastal Commission by Brown. Unfortunately, Erik Howell is a corrupt politician, and voters must reject him as a public officeholder. We do not deserve to have to see our taxpayer money used to payout huge legal settlements because he refuses to follow the rules. We do not need corrupt politicians like Caren Ray, Adam Hill & Erik Howell. Gee, I wonder if we could get Spotlight on Corruption to look into our crooked SLO CC folks for all their illegal meetings with the bike nazis and developers who will reap billions in profits from destroying our city and outlying areas. Since they always have their minds made up against the local citizens even before the so called public meetings even holding hearings is a sham anyway. Why don’t we save time, and face, and just allow a reasonable bribe limit on our CC folks to run the town any way they like without all the fuss and wasted time of public hearings. How about $10,000 per decision for a max of $250,000 per year, for each councilperson. Since staff is just a lackey of developers why not fire the so called planners and just have the developers tell the CC directly what to do? We would save a fortune in wages and future pension costs. The effect on the town would be the same and we would save money-a win for everyone! The CC would make plenty of dough and save all the nuisance of having to put up with public outrage.